Remember that chocolate and peanut butter drizzled popcorn I didn’t get fat on the other day? I just bought 2 six-serving bags of it because I wanted to have an extra bag for some other time. Unfortunately, that other time turned out to be immediately after I finished the first bag. 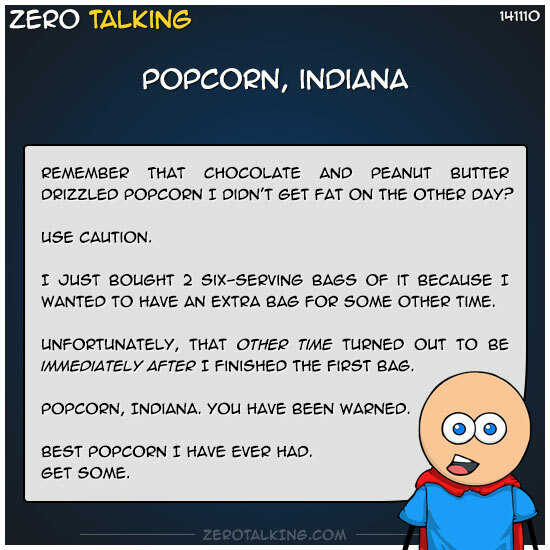 Popcorn, Indiana. You have been warned. Best popcorn I have ever had.